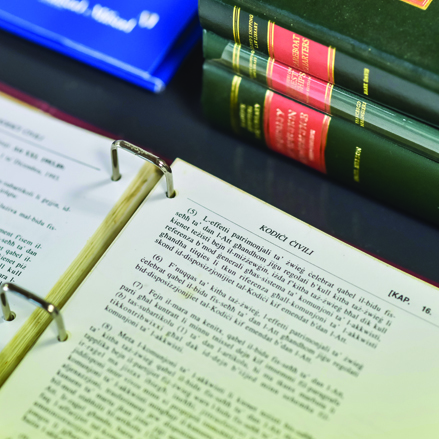 The type of action does not need to be explicitly pointed out, however if the elements of that type of action exist, then it may be sufficient.This was held in a judgement before Magistrate Dr Caroline Farrugia Frendo on 15th January 2019 in Kenneth John Walters and Antonia Walters vs. Denmar Properties Ltd., Joseph and Mary Agius. The plaintiffs filed an action after the floor tiles of their residence were moving and emerged to be damaged. The cost of the damages amounted to €8517.74. The defendants presented a statement of defence in which it was explained that the Walters purchased the property in April 2013 from the company. The company held that it fulfilled its obligations. The action should not be one of damages but should be an action to return the property sold or an action to reduce the price in terms of the Civil Code. Magistrate Dr Farrugia Frendo analysed the evidence produced where the defendant approached an architect to look at her floor tiles in her house. According to Architect Neil Felice the floor tiles had this dividing space smaller than that recommended and therefore with the heat they could not expand and lifted from the ground. The tiles should have been gres rectified, which are more expensive. Perit Felice recommended that the tiles be removed, and new ones placed. The plaintiffs’ tile layer affidavit had mentioned that the underlay was not prepared well, allowing the tiles to move and be damaged. The defendants’ architect explained that the floor tiles were fixed in 2008, while works were being carried out in the whole block. He did not receive any complaints from other owners in the same block. Tania Walters, the plaintiff told the court that she and her husband purchased the property in 2013 and the floor tiles were already there. She filed the claim in 2016 when she noticed that the tiles were moving. She has no intention to rescind the contract, in which she purchased the property. The plaintiffs are asking to be compensated for remedial works that they had to carry out due to defects to the tiles of the property they purchased from the defendants. The damages surfaced three years after they bought the property and immediately they presented a judicial protest in court. “1424. The seller is bound to warrant the thing sold against any latent defects which render it unfit for the use for which it is intended, or which diminish its value to such an extent that the buyer would not have bought it or would have tendered a smaller price, if he had been aware of them. 1425. The seller is not answerable for any apparent defects which the buyer might have discovered for himself. 1426. Nevertheless, he is answerable for latent defects, even though they were not known to him, unless he has stipulated that he shall not in any such case be bound to any warranty. 1427. In the cases referred to in articles 1424 and 1426, where the buyer may elect either, by instituting the actio redhibitoria, to restore the thing and have the price repaid to him, or, by instituting the actio aestimatoria, to retain the thing and have a part of the price repaid to him which shall be determined by the court. 1431. (1) The actio redhibitoria and the actio aestimatoria shall, in regard to immovables, be barred by the lapse of one year as from the day of the contract, and, in regard to movables, by the lapse of six months as from the day of the delivery of the thing sold. As to whether the action is time barred, the Court quoted from a previous judgement Maria Rosa Muscat Baldacchino -v- Edward Vincent Kind noe, decided on 18 October 1963, which held that the prescription period does not start when the defect is discovered, but when it is ascertained that the defect exists. From the evidence of this case, when the defects started to emerge the plaintiffs asked a competent person to have a look at the tiles and verify from where the problem was coming from. This evidence was not contradicted by the defendants. According to Alexander Abela et -v- Carmel Micallef et decided by the First Hall of the Civil Courts on 9 January 2012, held that a defect includes an abnormality or imperfection. A latent defect is when a nonprofessional eye cannot identify the defect. Magistrate Dr Farrugia Frendo held that she is satisfied that the latent defect did exist, and the amount sought by the plaintiffs is correct and therefore, this was actio aestimatoria, since there is no indication that they would like to move out of their home. The Magistrates’ Court may decide these cases, as long as the value does not exceed the competence. The Court then moved to order the defendants to pay €8,100 to the plaintiffs.